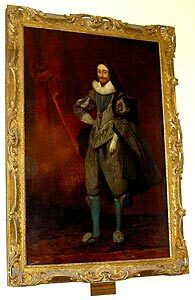 …and in the Banqueting-house saw the King create my Lord Chancellor and several others, Earls, and Mr. Crew and several others, Barons: the first being led up by Heralds and five old Earls to the King, and there the patent is read, and the King puts on his vest, and sword, and coronet, and gives him the patent. And then he kisseth the King’s hand, and rises and stands covered before the king. And the same for the Barons, only he is led up but by three of the old Barons, and are girt with swords before they go to the King. 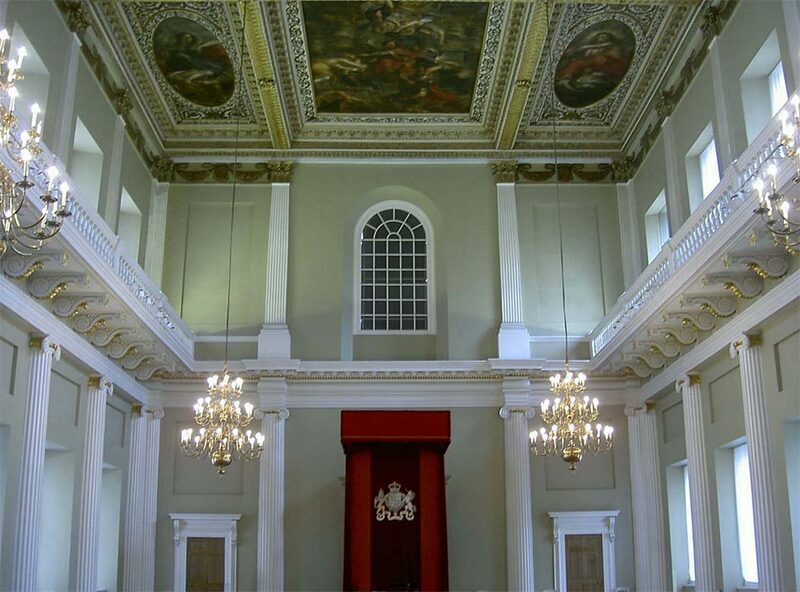 The scene described here took place in the very room shown in the picture below, now restored to its original decoration and with the throne where worthy subjects presented themselves to the King for ennoblement. The hall was where foreign ambassadors paid their respects to the monarch as well as being the venue for various royal parties and celebrations. Thus it was my chance to see the King beheaded at Whitehall. 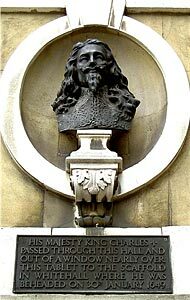 In contrast, it was also where Charles II was welcomed back to London and offered the throne in 1660. The Banqueting House would have been a very dominant building in Pepys’s day due to its imposing scale and revolutionary architecture. Comparison of the two pictures above and below shows it has changed little in over 300 years. The main change was the cladding in Portland Stone of the west front during the 19th century. 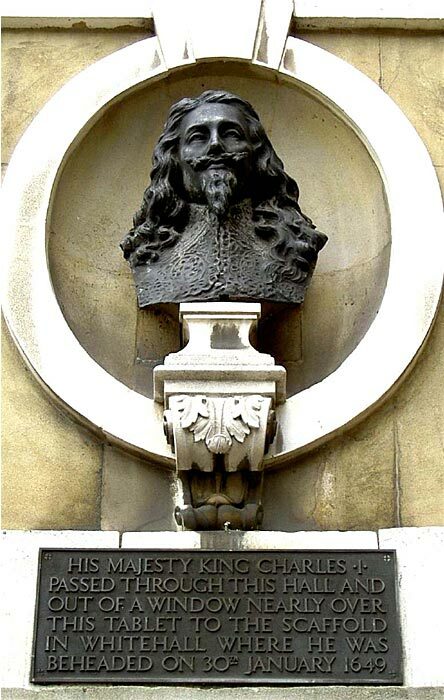 A bust of Charles I (the same model as that at St Margaret’s Church) marks the approximate location of the window from which he stepped onto the scaffold for his execution. The window was in an original annexe (shown in the 1669 engraving), subsequently demolished. A new annexe was added in 1798 (as in photo above), without the window. He famously wore an extra shirt for the January event, to be sure his subjects would not think he shivered from fear. 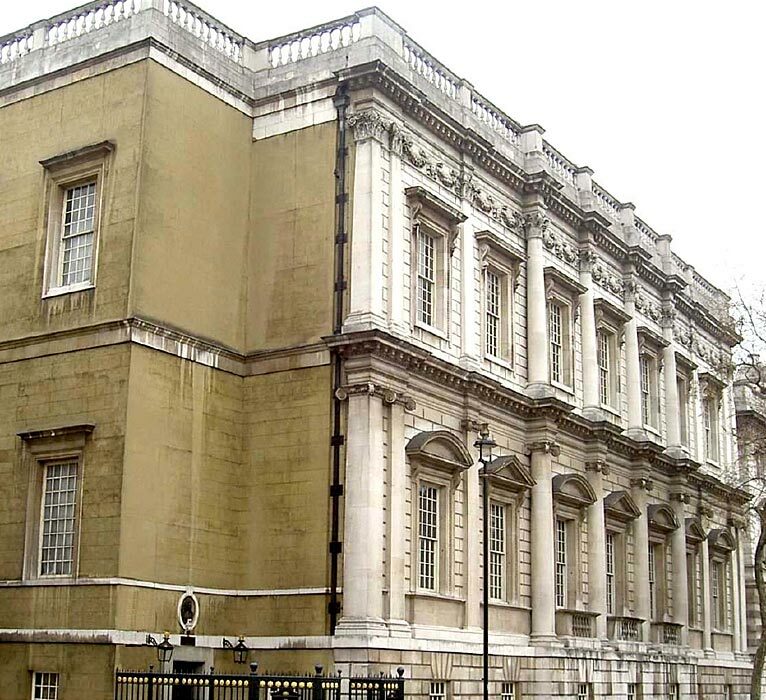 The rear (east) face of the building is closer to the original Inigo Jones facade, without the Portland Stone cladding. Inside, the Hall is 110 ft long and 55 ft wide (33.5 x 17m). 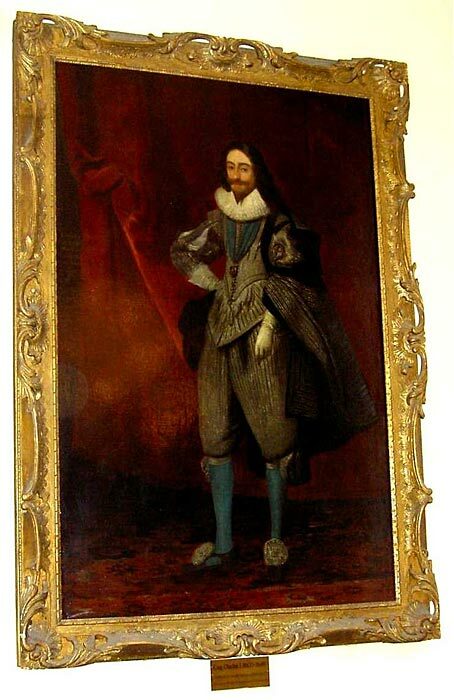 And thence he carried me to Mr. Streeter’s, the famous history-painter over the way, whom I have often heard of, but did never see him before; and there I found him, and Dr. Wren, and several Virtuosos, looking upon the paintings which he is making for the new Theatre at Oxford: and, indeed, they look as if they would be very fine, and the rest think better than those of Rubens in the Banqueting-house at White Hall, but I do not so fully think so. History suggests that Pepys’s view was a wise one. 23rd August 1662: “I offered eight shillings for a boat to attend me this afternoon, and they would not, it being the day of the Queen’s coming to town from Hampton Court. So we fairly walked it to White Hall … and up to the top of the new Banqueting House there, over the Thames, which was a most pleasant place as any I could have got; and all the show consisted chiefly in the number of boats and barges; and two pageants, one of a King, and another of a Queen, with her Maydes of Honour sitting at her feet very prettily… Anon come the King and Queen in a barge under a canopy with 10,000 barges and boats… And so they landed at White Hall Bridge, and the great guns on the other side went off: But that which pleased me best was, that my Lady Castlemaine stood over against us upon a piece of White Hall, where I glutted myself with looking on her. Banqueting House is open to the public, Mon to Sat 10am to 5pm, except Bank Holidays and from 24 December to 1 January. May also close for special functions. Fees: Adults £4, Concessions £3; Children £2.60. Not very exciting unless you have a special interest in the building or the Rubens paintings. Includes an audio guide — dominated by detailed (and tedious) commentary on the paintings, but also an interesting description of how foreign ambassadors were ceremonially received by the king, and of the route taken by Charles I on his way to the scaffold. A film giving a potted history of Whitehall and the Stuarts is also of interest. See the official website. Project Gutenburg Etext (June 2003). Based on 1893 edition, edited by H.B. Wheatley (source of all diary entries here). 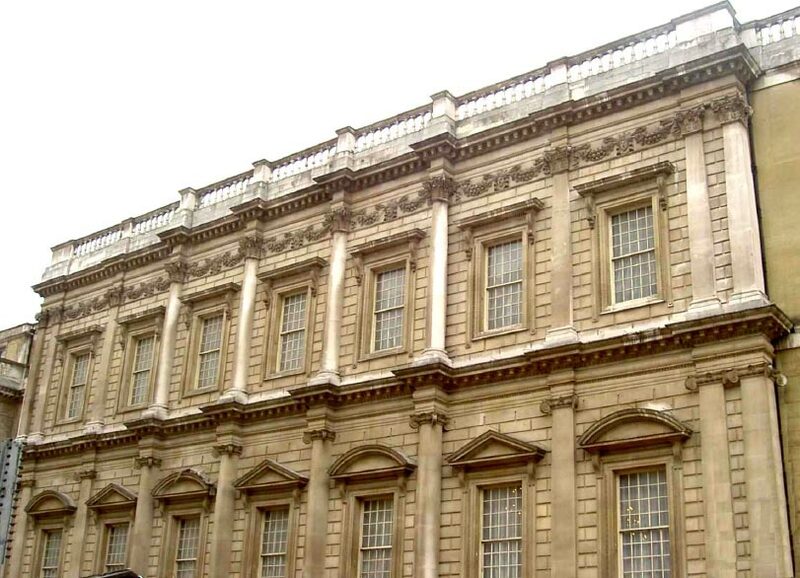 The Banqueting House, Whitehall Palace, brochure issued on entry. Banks, F.R., 1986 edition, The New Penguin Guide to London , Penguin Books, 596pp. Note: While believed to be accurate, this note should not be assumed to be authoritative, with information taken from a number of sources, some more reliable than others. Photos by P. Easton April 2004. Peter....Another job well done--beautiful pictures and descriptions. The ceiling is magnificent. Thanks once again! Wonderful article, Peter. thank you. We are a book packaging company based in Delhi, India. We are mainly into children educational/reference books. We do these book for the publishers based in UK and US. Currently we are working on a book titled Henry VIII, for which we require image of "Place of whitehall ceiling"
and recently we have came across a very stunning image of the same from your site. We would like to use the image in a children educational book. kindly get back to us as soon as possible. 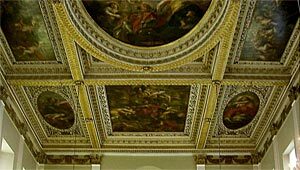 The paintings on the ceiling of the Banqueting Hall were commissioned by Charles I, so they were created a bit more than a century after Henry VIII moved in.